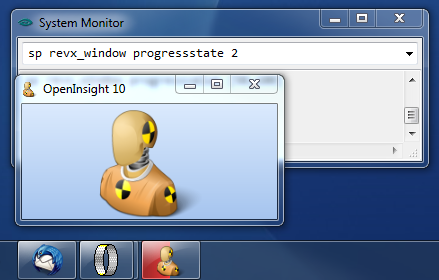 We have already looked at the TASKBARID property in an earlier posting but there are also several other properties that allow your OI forms to integrate closely with the taskbar via such items as overlay icons and progress bars. In this post we’ll take a quick look at the new OVERLAYICON property. This property allows you to specify an icon that will be superimposed onto the bottom right of your form’s taskbar button. It is designed to highlight a status change in your program and is used by applications such as MSN Messenger to denote the user’s online status. 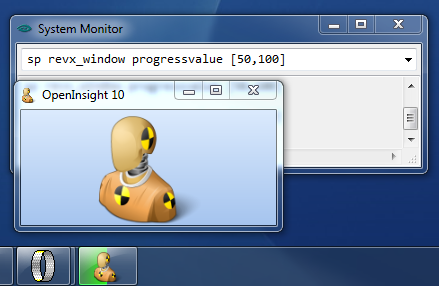 This property is similar to the standard ICON property where you simply specify the name and path of an icon file, or it’s DLL resource ID. More information on Overlay Icons can be found here, along with some guidelines on their usage here. 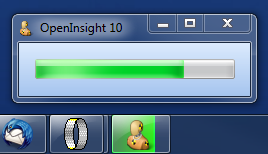 This entry was posted in Presentation Server and tagged Properties, Taskbar, WINDOW on April 29, 2013 by Captain C.
In a previous post on the RXI files we mentioned the taskBarID switch that could be applied when launching the Presentation Server to un-group instances of the same executable on the Windows Taskbar. This same principle can also be applied to top-level application windows so they can have their own icon on the taskbar rather than being grouped together with other application windows owned by the same instance. 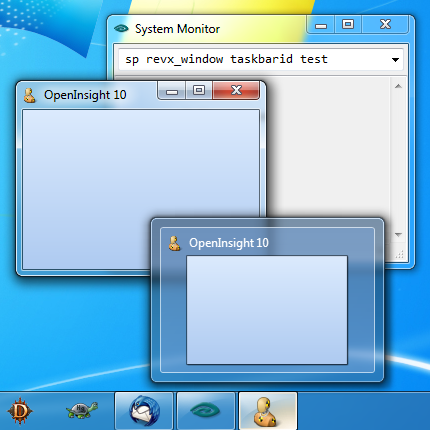 To support this feature OpenInsight 10 provides a new WINDOW property called TASKBARID, which should contains a unique value that differentiates the window from other windows running on the desktop. 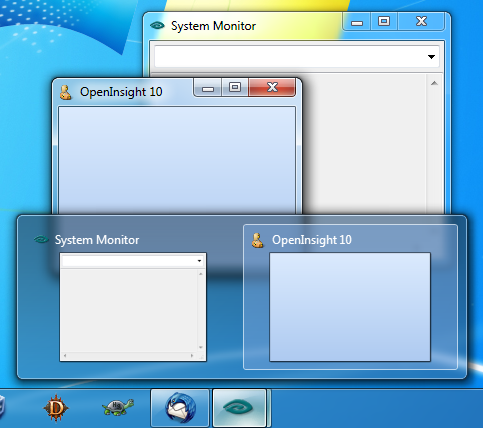 Note that you can also give multiple windows the same TASKBARID if you wish to control how they are grouped together. 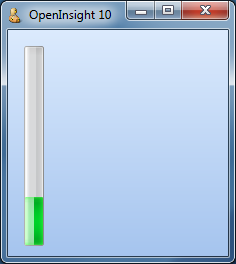 This entry was posted in Presentation Server and tagged Properties, Taskbar, WINDOW on January 21, 2013 by Captain C.